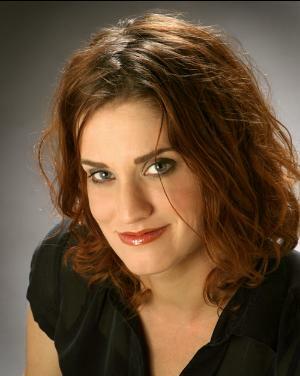 Gianna Jessen of San Clemente, California, is an abortion survivor and a pro-life activist. (Jessen is a stage name that was adopted when she began her activism.) Gianna’s biological mother was 17 when she had a saline abortion almost seven months into her pregnancy. Though scheduled to die, Gianna was miraculously delivered alive despite being burned “inside and out” from the saline solution. The abortion doctor was off-duty at the time, so a staff member rescued the baby and took her to a hospital. Gianna was left with cerebral palsy caused by a lack of oxygen to her brain during the attempted abortion. She weighed a mere two pounds at birth and doctors said that she would never be able to lift her head, sit up straight, crawl or walk. Yet she began to walk by the age of three years old with the help of leg braces and a walker. Now she walks with only a slight limp and has even run marathons. Gianna doesn't believe that cerebral palsy has taken away from her life, but, rather, enriches it. Gianna understands the plight of orphans, being one herself. She was placed into the foster care system early in life, which she has said wasn't a good experience at first. Eventually she was taken into the loving home of a woman named Penny DePaul, who had been a mother to 56 foster children over the years. At age 4, Gianna was adopted by Penny’s daughter Diana, making Penny Gianna’s grandmother. Gianna's speaking engagements have taken her all over the world. Her audiences include: churches, women’s ministry retreats, secular and Christian youth organizations and schools (middle school through college), various corporations as a motivational speaker, and she has testified several times before Congress. Gianna has also been a guest on numerous radio and television programs. “Everyone gets tears in their eyes when Gianna stands there and says how glad she is to be alive,” said Nancy Myers, a spokeswoman for the Right to Life Committee. Jessen is a bold, amazing young lady, and she is living testimony that “all things work together for good to those who love God, to those who are the called according to His purpose” (Romans 8:28). Did You Know...? The 2011 movie, October Baby, was loosely based on Gianna Jessen’s story. Gianna: Aborted, and Lived to Tell about It - Through this inspirational biography, you’ll see that all life is a precious gift that should be cherished and protected.